So it’s back. 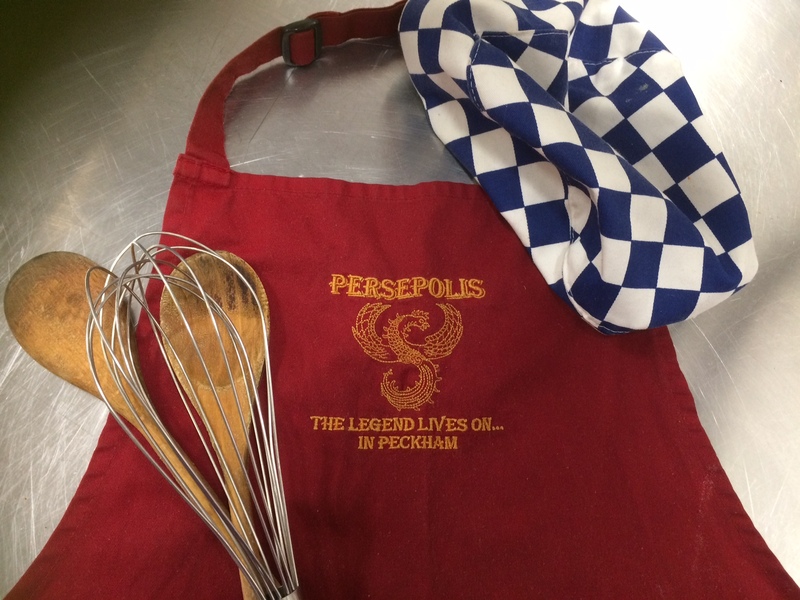 The Persepolis Cook School. Wherein Mrs. Shopkeeper pretends she knows a thing or two about food and y’all get to listen in. And maybe eat some of the results. Now we’ve got our lovely basement space sorted, we’ve got room to do all sorts of extra-curricular stuff. Like cookery demos. And so on Sunday May 27th we will be closing downstairs to the general public between the hours of 2-5pm and hosting the first of what we hope will be a regular cookery programme. The theme of the first one will be Persepolis – our latest book – which is basically the food that we cook in the restaurant. Come along and learn all our little trade secrets. Trust me – it is pretty simple fare. And at the end we will spread out all the food we have cooked for a mini feast. Tea or coffee included. The cost is £80.00 a head, or £100.00 a head with a souvenir book or Persepolis apron to take home. We have room for a maximum of 15 ‘students’ at a time, so book early to avoid disappointment. Hi Sally, when is the next cooking class ? Dear Sally, are you still taking bookings for 30 September? I’ve sent you an e-mail. Hope to see you soon. Hi Sally, are you running more persian cooking classes any time soon? Is there any upcoming cooking classes? It’s another enquiry about the cookery school. Will you be holding another session any time please? The next one is on the 2nd December, and then after that there won’t be another one until the end of January. Could you let me know the dates this year for the cookery school. Thanks.